Samsride is the industry leading software provider for on demand services. 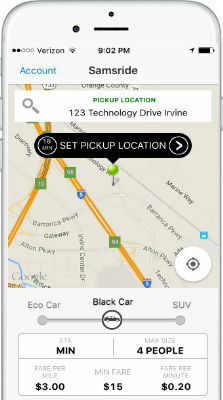 Samsride platform can be used to create on-demand apps such as taxi App, limo App, rideshare booking, kids shuttle, dispatch, delivery, plumbing, message service & more. Try our free demo today. 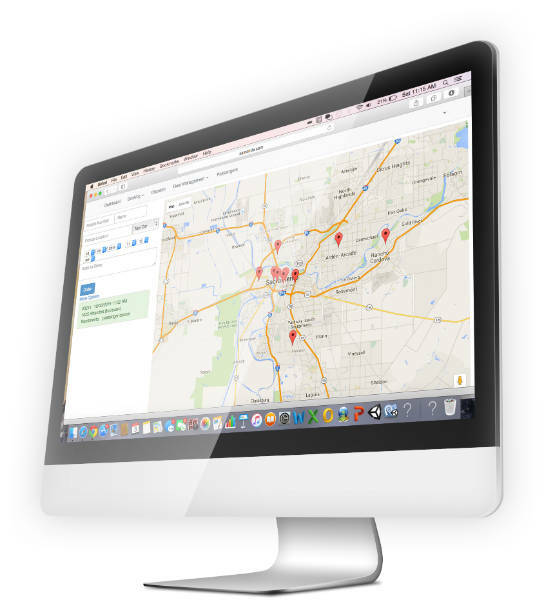 Built in the cloud, our fleet management software has all your needs to manage your daily operation. 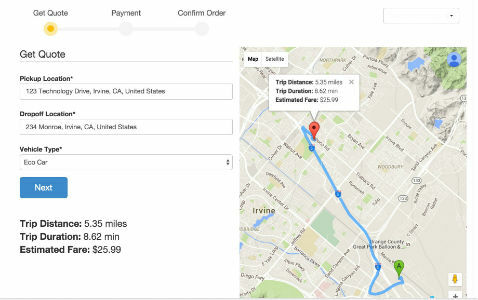 Driver direct payout module and driver gets paid out at end of trip directly. It is brilliant I think Uber and Lyft should hire this company. Passengers order car from web site without smart phone. Our system is Internet scale. Samsride system runs in Amazon AWS Cloud. Our web service uses Node.js which is much superior than PHP based Uber clone system. Our software is real time. 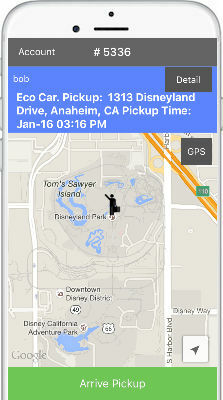 Your driver and customer get realtime communication. The platform is configurable. We are the only company working with our partners. We listen to your use case and work with your requirement. We choose MonogDB as the datastore, which can handle big data. Native ios/Android App. We do not use PhoneGap App like other alternatives. You keep the brand with your own ios/Android developer account. Samsride dispatch system actually works. Avoid the others as they may look pretty with the help of Photoshop but they do not work in real life. I have no words to express how grateful I am with this great team. Great product, many options, in other words .... the top of the top! Expecting something big coming. Samsride is a flexible platform that can be used in many industries. Ride share companies, similar to Uber/lyft business model. The companies operate in a niche market. Here are top reasons that you should use Samsride mobile dispatch software. Your customers are asking for it. Whether you are a taxi cab company, limo company, ride sharing company, shuttle company, delivery company, on demand app, field force management, your customers are asking for the services with click of a button in iOS or Android phone. Samsride platform works. We use state of the art software architecture. We fine tuned our system with our partners. Our system comes with lots of features to run your on demand business. The system is secure, mature and it works as good as a billion dollar company system. Please do your research on our competitors and you'll find out Samsride is great. The price is right. On demand software is complex and it costs a lot to develop. Even if you have a perfect system, there is daily operation cost that can not be lowered. You'll have to pay server cost, App update cost as iOS and Android are constantly updating, map, voice and SMS cost etc. The time is now. Even if you have unlimited budget, you'll have to develop the system for at least three years to reach our platform capacity. Do you have time to wait for a few years? Remember our mobile software is evolving too. You keep your brand. Samsride is SAAS (software as a service) model and can be white labeled. You keep the brand and we provide the technology. You have your own credit card merchant account. You receive payment directly to your own merchant account and your bank account. Unlike others, we do not stand in the middle for payment and collect a fee. We have a robust fraud detection module to reduce credit card fraud and charge back. Samsride software is reliable. Our software is carefully designed and hosted in the Amazon AWS cloud. You can rest assured to run your business without dealing with IT cost and issues. Samsride system is customizable. Every company is different. Our App booking system is flexible. We can customize our software to fit your business needs. Samsride Inc. is based in USA and we are proud to serve customers all around the world.